On behalf of our member companies that provide more than 1 million jobs in the state and make the New Jersey Business & Industry Association the largest statewide business association in the country, we are OPPOSED to bill S-1700 (Singleton, Weinberg), which concerns environmental permits in burdened communities. NJBIA has long advocated for streamlined government processes, growing the economy and jobs, and lowering the cost of doing business in New Jersey. Reviewing this legislation through that prism, we have several concerns with this legislation and the additional burdens it places on business. 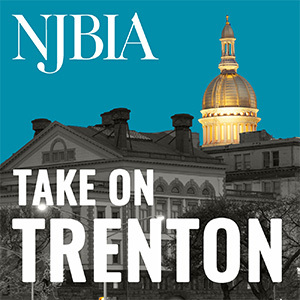 NJBIA has been working to improve the business climate and New Jersey’s competitiveness. Businesses have told us that they need reliability in permitting. We have been working to streamline government processes through online permit applications, working with site remediation LSRP’s, and stakeholder participation. This legislation would add a layer of bureaucracy and delay a permit being awarded, which will ultimately impact development in certain areas. While NJBIA recognizes the need to protect our environment, we must also consider the economy, competitiveness and the need to refrain from “red lining” areas which will prevent clean-ups and redevelopment. The bill’s language seems innocuous but the bill calls for an additional environmental evaluation and adds a public hearing to the process. The Department of Environmental Protection (DEP) does a thorough review of permit applications before awarding or denying a permit. For larger facilities, these permits can be thousands of pages long and go through intense scrutiny by DEP professionals. Businesses pay permit fees for this review. In the past few years, we have made great strides at implementing electronic permit applications. This allows for both public transparency as well as easier application filing. To add the additional steps of a municipal ordinance approval to this already complex process will not only delay projects and increase costs, but it will also impact the ability of our urban centers to compete for development that will ultimately yield new jobs. This legislation also impacts existing businesses ability to renew a permit and continue normal operations. Furthermore, the DEP is able to deny a permit application in a burdened community upon a finding that the approval of the permit would evaluate the “cumulative” impacts on the community across programs, including existing permits and allow denials for “unreasonable” risk impacts. This is language is extremely broad and difficult to define. We also want to point out that the Murphy Administration has issued E.O. 23 directed the Department of Environmental Protection (DEP), in consultation with the Department of Law and Public Safety and other relevant departments, to take the lead in developing a guidance document for all executive branch departments and agencies for the consideration of environmental justice in implementing their statutory and regulatory responsibilities. Following the publication of the final guidance, all Executive branch departments and agencies are directed to consider the issue of environmental justice and make evaluations and assessments in accordance with the guidance. This guidance document provides a framework for executive branch departments and agencies to incorporate environmental justice considerations (encompassing environmental, social, health and economic concerns) in implementing their statutory and regulatory responsibilities. This proposed legislation will add another layer of complexity and confusion on top of the EO. In conclusion, while this legislation seeks to protect communities from health risks, we feel the legislation will halt all economic growth due to the arbitrary measures in the legislation, the dual approval process by multiple governing bodies, and the additional time and cost it will take for a company to receive necessary approvals to move forward. For these reasons, NJBIA opposes S-1700.